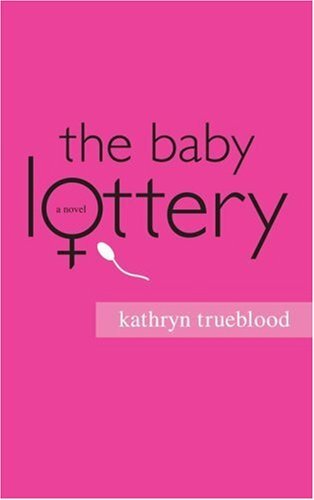 Nan, an obstretic nurse; Anastasia, a businesswoman; Jean, a former social worker; and Virginia, a community college professor, all friends from college, find their interlocking relationships strained when one of them, in her late thirties, decides to have a second trimester abortion after delaying the decision in hopes that her husband will change his mind. These women have all wrestled with--and are still engaged by--the questions of careers vs. motherhodd, marriage vs. divorce, and pregnancy vs. abortion. In her writing, KATHRYN TRUEBLOOD is preoccupied by the issues facing women in contemporary life. Her first book, The Sperm Donor's Daughter &amp; Other Tales of Modern Family explored &#x201c;how the pace of reproductive technology has outstripped our emotional and philosophical capacity for reflection.&#x201d; It received a Special Mention for the Pushcart Prize 2000. Concerning The Baby Lottery she adds, &#x201c;My father as a young man was a resident at L.A. County Hospital pre Roe v. Wade, and he worked the O.B. Infection Ward where all the women with botched abortions ended up if they didn't die first. His views as a result of that experience have had a profound effect on my writing.&#x201d; An Assistant Professor at Western Washington University, she co-edited two anthologies of multicultural literature. Her stories and articles have appeared in countless magazines. She lives in Bellingham, Washington.